The storm ravaged Penzance to Newlyn coastal path was re-opened after major works by Cormac in time for the Newlyn Fish Festival. 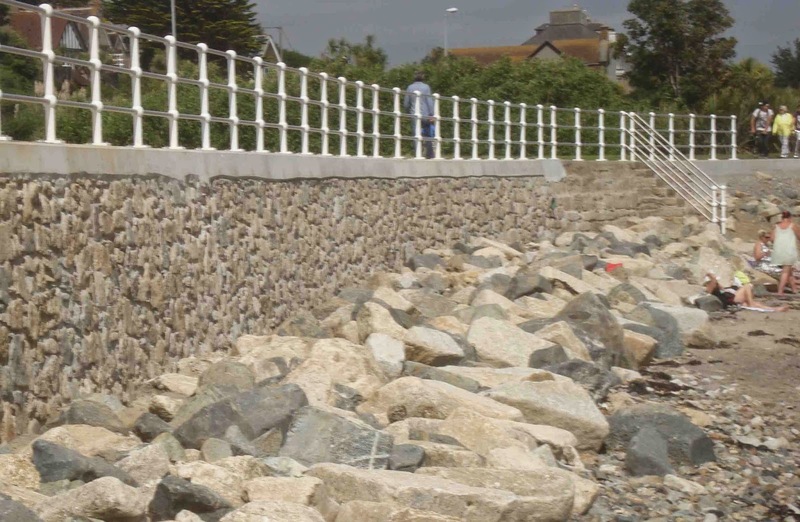 The work has been done to very good standard with the retaining wall formed out of steel reinforce concrete (faced in natural stone at the Newlyn end as shown in the image above. The new railings at the Newlyn (where the drop is potentially dangerous) are made out of stainless steel with the attractive supporting posts, painted white. The whole route has been substantially enhanced and should prove a more significant defence against the sea. There was a well supported, vociferous community campaign to re-instate the path after the storm damage. With a united front from the local Cornwall Councillors, Cornwall Council funded major works to reinstate the path and provide a more robust defence against the sea. Committee Meeting on Tue 2 Sep (5.45 pm). The Chamber Committee meeting takes place tomorrow, Tue 2 Sep at 5.45 in The Workbox, Pz 360 (Penlowarth House - 4th floor) . Committee meetings are open to all members to attend if they wish. Propspective new members can attend by invitation - please just ask the Chairman. The agenda (see here) includes a short briefing on Sir Humphry Davy Quarter by Keith Bell & Susan Stuart.